Runs PERFECT starts every time, lots of new parts almost complete new build. Heated hand Warmer's. I've had it up to 60mph. Seats two comfortably. Sleds and track are great condition, has cover for it. Really clean sled. 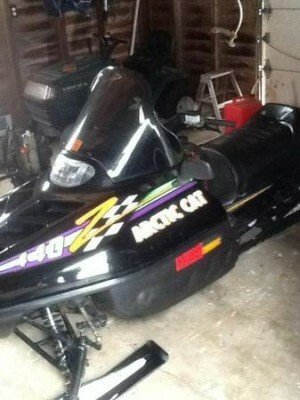 Everything works and this sled is ready to ride. .
Comes with brand new cover. Looks and runs great. CONDITION OF THIS SLED IS A 8/9 OUT OF 10.